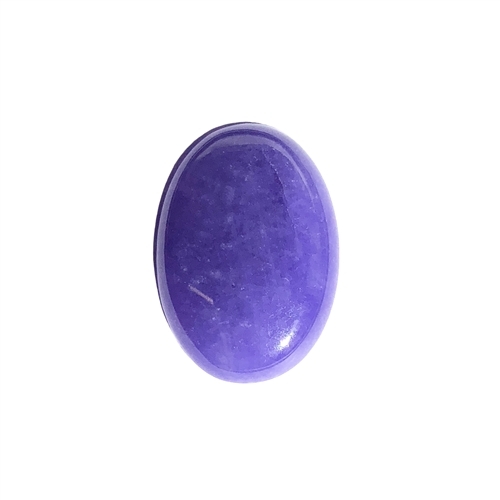 Quartz dyed purple color stone, semi precious stone, focal stone, flat back, transparent, oval, smooth domed stone. Measuring 25 x 18mm. Will fit in many of our 25 x 18mm mounts. The color is very delicate and will look good on many skin tones. Each stone is a hand worked lapidary item. No two stones are exactly alike. Sold by the piece.